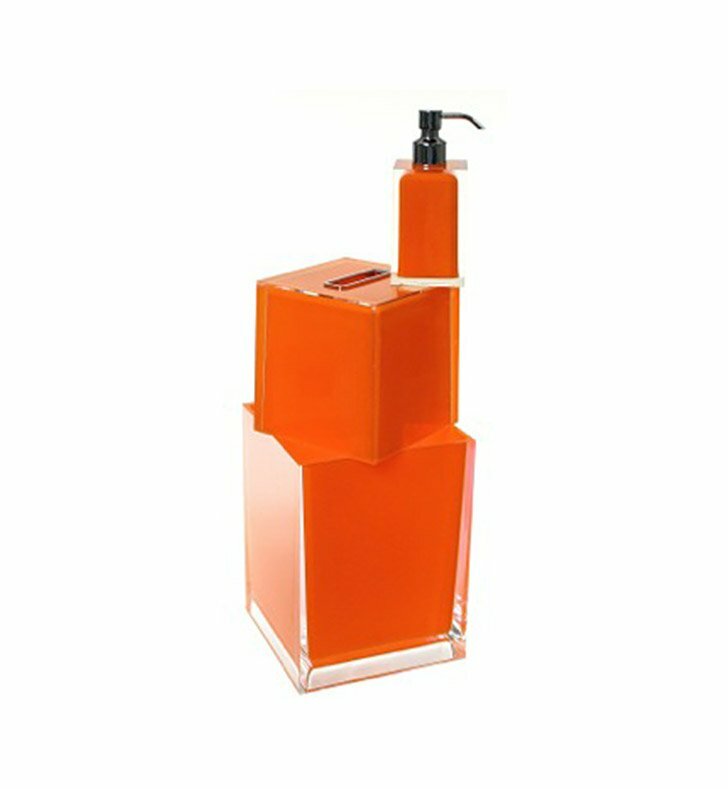 Start with this luxury bathroom accessories set. 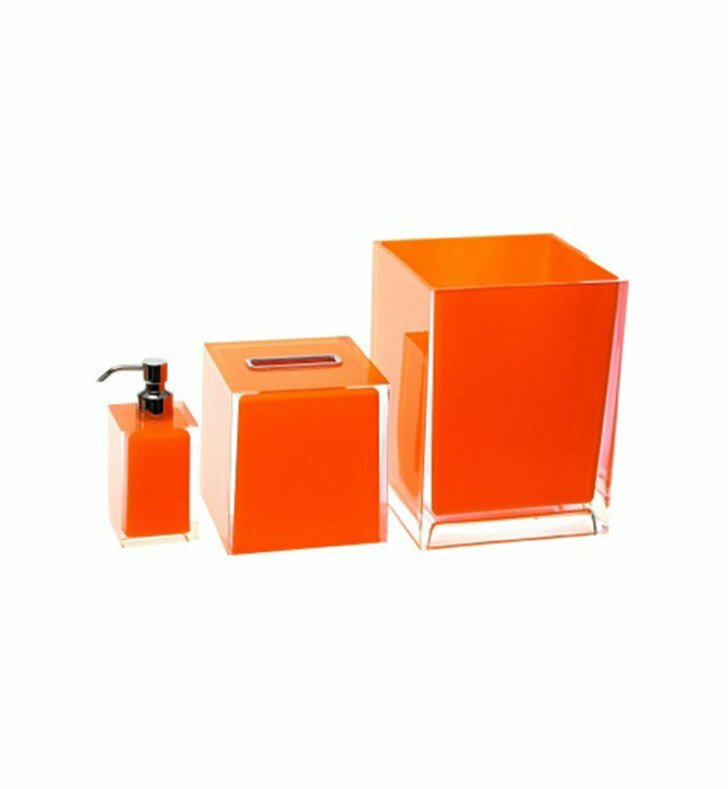 Free-standing and available in orange, this thermoplastic resins bathroom accessory set is perfect for a modern personal bathroom. Designed and made by Gedy in Italy. From the Gedy Rainbow collection.